Stop me if you've heard this one: An insurance investigator climbs in a ship where everyone is dead. He (or she, as the investigator can be a woman as well) has a pocket watch that can turn back time and he has to jot up the many fates of the crew and passengers in a notebook. As he obviously doesn't know the people and the time is set in 1804, he has to piece up who's who from the fragmented conversations he hears and from other evidence, like with whom and where in the ship those people are seen moving in. I'm disappointed, that while my opening was a setup for a bad joke, the rest never really followed, but perhaps that wouldn't have been appropriate, considering the setting of Return of the Obra Dinn. As stated, you are an investigator on a ghost ship. The East India Company has tasked you to check you the ship and see what has happened in there. And that's really the game. There were 60 or so souls in the ship and they all have gone missing. You walk around the ship and when you find a body, you need to use the magic pocket watch, that takes you back in time, during which you hear some noises and, if you are lucky, pieces of dialogue, that'll help you on your task. 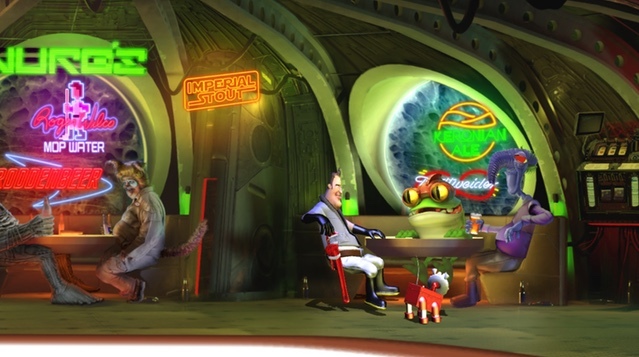 The scenes themselves are frozen in time, allowing you to explore them from all the possible angles in order to get a better grasp on matters. You have to, for an example, try to figure out whose bullet gave a fatal hit on someone or jump from one event to another in order to see if someone was pulled underwater or if it was a fall or something else that cut someone's mortal coil. And that's really all there's to the gameplay mechanics of Obra Dinn. It sounds very simple, and at times it is just that, but the difficulty of the fates comes from, that most of the finding out the truth is not as simple as to go to someones exact moment of death. That helps only on figuring out how someone died, not who someone is. At times it doesn't even directly tell who, if anyone, killed the person you are currently looking at. This is how you go through Obra Dinn until the game finally informs you, that there's nothing else to do there. You've seen a lot of death and insanity, heard random bits and bobs of things that have happened and can only guess on the larger story on the background. But that's not what the game asks of you. It doesn't really care if you understand the story from the pieces you see, it only is interested in if you figure out the puzzle of who's who. In the end, if you've done your due diligence and figured out as many of the people you can, you'll get the final chapter of the journal. It sheds some light on the case but leaves still a lot in the shades. And that, I think is fine, as the way, I figure it, had Pope revealed all the story, it might just have felt a bit too gimmicky for its own good. Now it's mostly just about the moments the crew and passengers perished. Graphically Return of the Obra Dinn is an interesting case as it tackles the, ah so trendy, retro graphics from a different perspective than your common retro-pixel art games. 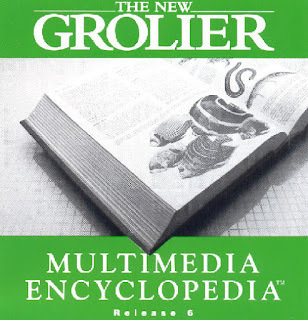 Instead of pixels, the graphics are a reminiscent towards old real-time 3D-graphics of the 1980's, completed with raster style texture surface and only two colours, of which the tone can be changed to look like an early Mac game or even Commodore 64. While the game is interesting to look at, it also does take some time getting accustomed to. And because of the graphical style, I did find some of the fates harder to deduce, as you don't have any colours that would give you more information at a glance. In some cases, not being able to read all that you could don't matter that much, as I've learned after the fact, that some of the fates can be solved in several ways, so hence, it's not one answer per puzzle like it often is with game puzzles. 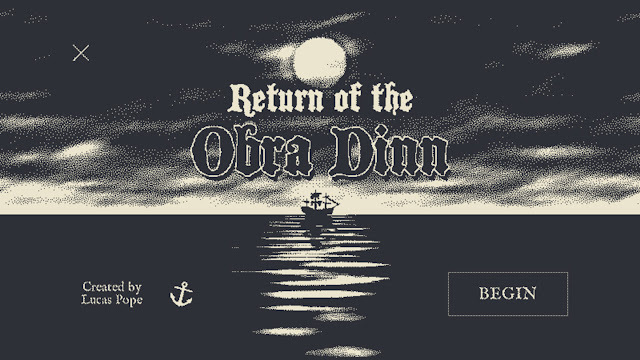 I've been wondering if the Return of Obra Dinn is really classified as an adventure game, as it does feel more like a puzzle game to me. The goal of the game is to solve the grand puzzle of the final chapter you get only if you are successful in figuring out all you can on the ship. And doing that doesn't require you to solve any of the more standard types of adventure game puzzles. 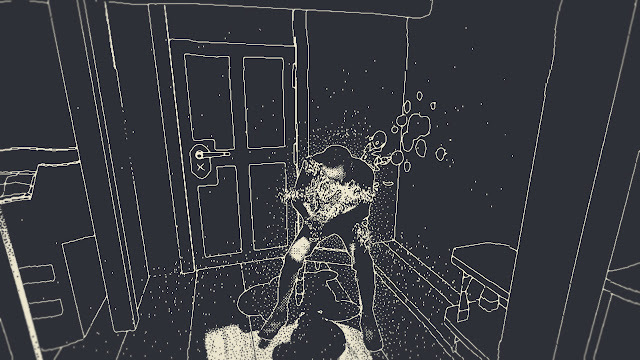 In a way, Obra Dinn reminds me of the Witness, a puzzle game where you solve puzzles that are variations of a couple of archetypes. 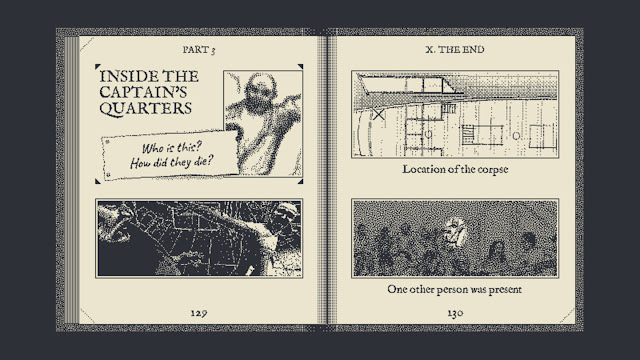 In the case of Obra Dinn, the puzzles are about people, in the Witness they were about drawing lines. 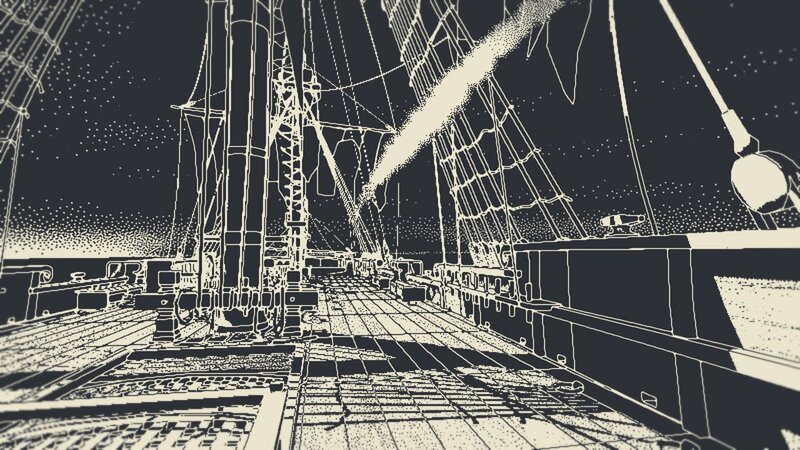 In any case, be Return of the Obra Dinn an adventure game or not, it is a good game on its own right. I'd even go as far as to call it a small masterpiece, which might have come up with a new genre of investigatory puzzle solving in games. 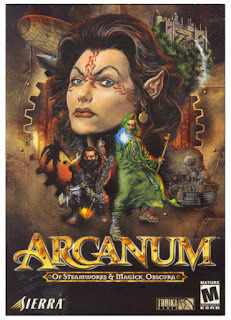 This is a game, that offers you a unique experience if you just give it a chance. Return of the Obra Dinn is available through GOG and Steam. I recommend it. A lot. Go get.